A project to help connect Preseli Heartlands communities with the unique heritage of the area has been launched. 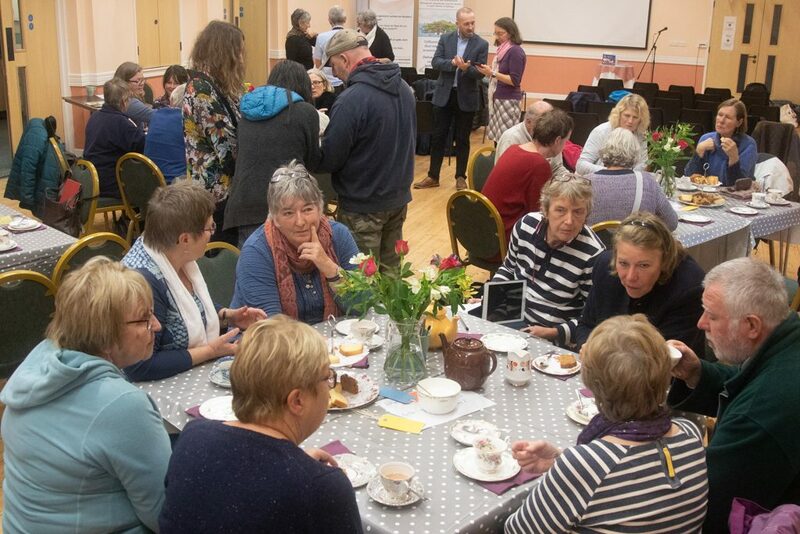 The Ein Cymdogaeth Werin – Preseli Heartlands Communities project, led by PLANED will explore how connecting with heritage creatively can contribute to health and wellbeing and provide opportunities for young people through ‘hands-on’ heritage experience. The project was launched on Saturday 13th October at Maenclochog Community Hall. Community archaeologist Delun Gibby, gave a talk and there were opportunities to view an exhibition of old photos from the region. Sophie Jenkins, Project Officer said: “We will be using innovative approaches to get local people involved with celebrating their heritage and culture. We hope this will help to create opportunities for development of cultural tourism to contribute to economic and social growth. “The project will deliver an exciting three-year programme of activities celebrating and sharing heritage in the Preseli area, making it a stronger visitor destination based on its unique heritage and culture. As part of the project PLANED is also working with Span Arts to create a beautiful interactive quilt exploring farming, life on the land and personal connections to the Preseli landscape. The Stitching Stories workshops are fully bilingual and you don’t need any previous experience to get involved. The Great Place Scheme is a new pilot initiative across Wales, the main aim of the Scheme is to put heritage and culture at the heart of the local vision. The Ein Cymdogaeth Werin – Preseli Heartlands Communities Great Place project is supported by the National Lottery through the Heritage Lottery Fund. The project is a partnership made up of key local organisations involved in heritage across Pembrokeshire, and was granted £218,000 from the Heritage Lottery Fund, with additional funding from Arwain Sir Benfro and Pembrokeshire Coast National Park. To register an interest or book on to a Stitching Stories workshops visit span-arts.org.uk or call Span Arts on 01834 869323.